Who doesn’t love cookies? They’re great with milk, coffee or on their own. Baking cookies is also a great way to spend time with your kids. They can learn the rules of baking and precautions of kitchen safety and you can make great memories with them in the kitchen. If you’re looking for a cookie recipe to try, look no further! Two of the greatest cookies – chocolate chip and Oreo – are old classics and go surprisingly well together. How can you mix these two kinds of cookies together in one great recipe? We’ve got the answer here with this great recipe for spaceship cookies (a.k.a. Oreo-stuffed chocolate chip cookies). 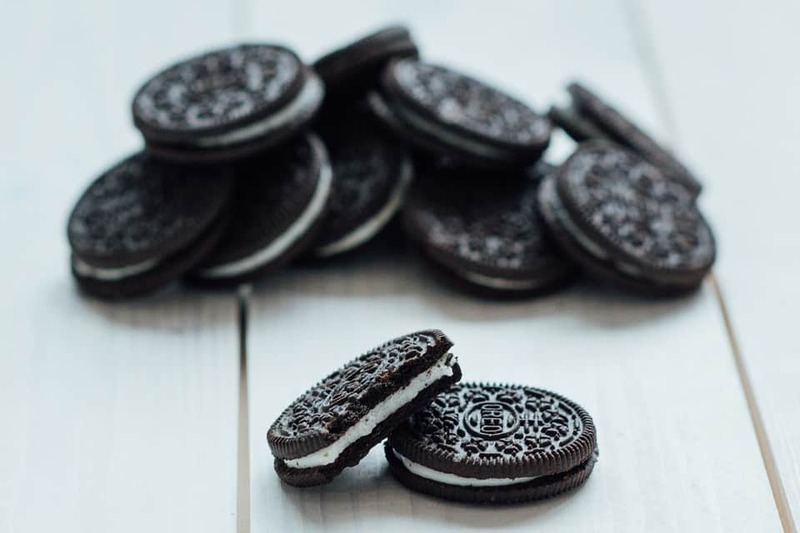 This is a super simple recipe that doesn’t require a lot of time or special ingredients, because chances are you’ve got Oreos at home anyway! Ingredients for your favourite chocolate chip cookie recipe! Step 1: Follow instructions for your favourite chocolate chip recipe. What’s great about this recipe is you can use whatever chocolate chip cookie recipe you like! We riffed a little bit off this recipe, but you can feel free to jazz it up however you want. Do you put in a dash of cinnamon, a teaspoon of espresso, a dollop of coconut oil? Whatever choco chip recipe is yours and your kids’ favourite, then that’s the one to use! Don’t forget the vanilla extract to bring out all the yummy flavours in your recipe. Or do you have a different special ingredient you use in place of vanilla – I’ve heard peanut butter (allergies allowing) is a fun substitute! 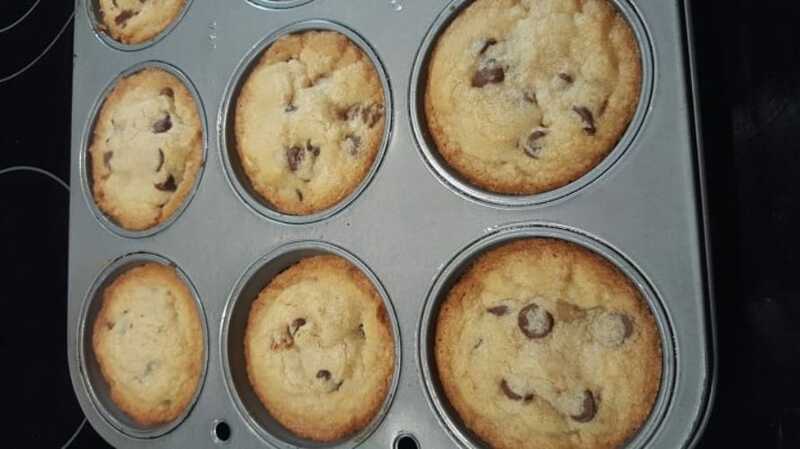 Step 2: Once your chocolate chip dough is ready, scoop it into the muffin tin. 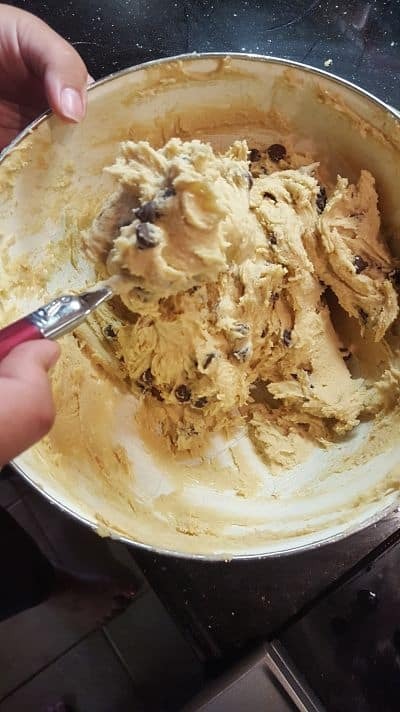 After spraying the tin with cooking spray to make sure your cookies don’t stick, use two teaspoons or, better yet, an ice cream scooper to put dough in each of the muffin tin slots. It’s gonna look like you’re making cookie muffins, but the more to enjoy, the better we say! Flatten the dough pieces in the tin with a fork and place an Oreo cookie in the centre. Then use more dough from your bowl to cover the cookie and use your fork to flatten all around the edges of the cookie/muffin. Step 3: Bake for 15-17 minutes. Always keep your oven light on so you can check on the progress of these treats, but between 15 and 17 minutes will be your sweet spot for when the cookies are finished. These cookies/muffins are going to be big! 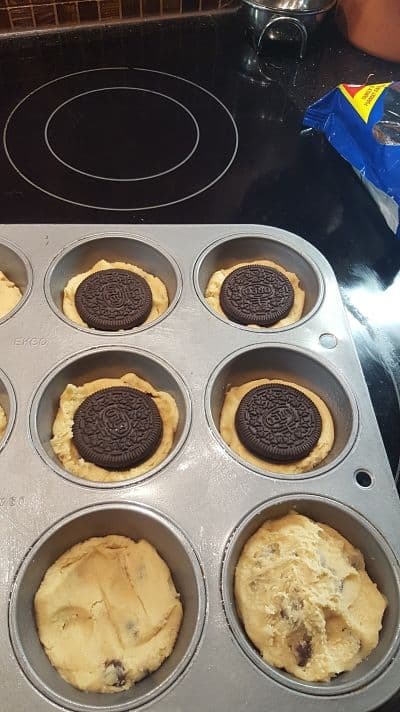 Using a muffin tin is important for the cookie to keep its shape surrounding the Oreo inside. 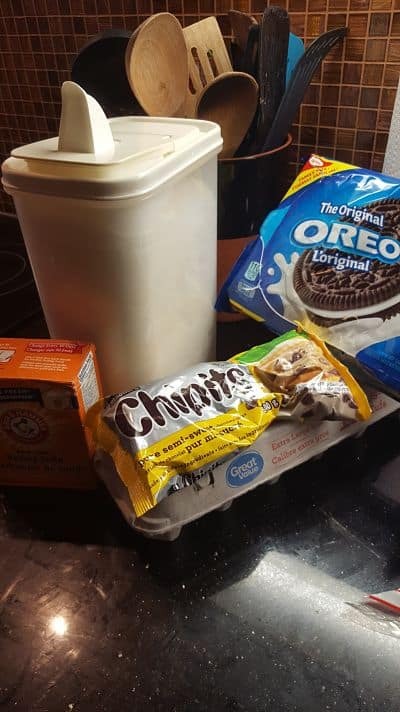 Once the cookies cool down, you can scoop them out and relish in the chocolatey goodness of having Oreos and chocolate chip cookies in the same bite – every kids’ dream come true! Did you know that these delectable treats are called “spaceship cookies” because when you bite into them, the inside of them looks a little bit like a UFO! This super simple recipe is sure to be a favourite whether the cookies stay in your kitchen for your family, or you bring them to school or work. Who wouldn’t love having the best of both worlds – both Oreos and chocolate chip cookies? If you try out this recipe, let us know in the comments how it turned out for you. Especially let us know if you tried to diverge from the recipe at all – did you try mint or birthday cake flavoured Oreos instead of regular? Did you try peanut butter cookies instead of regular chocolate chip cookies? The possibilities of flavour combinations for this recipe are endless! 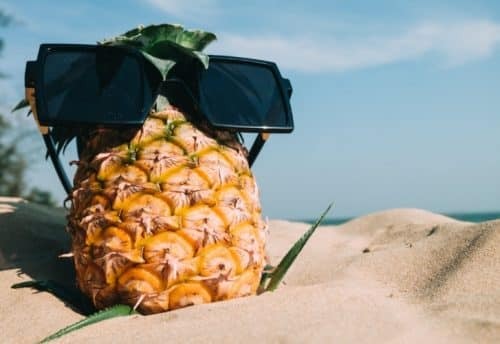 Drop us a comment to let us know how your batch turned out! 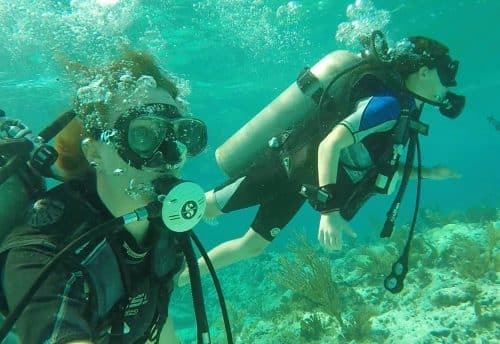 Fun facts about Laura Berg and her family!